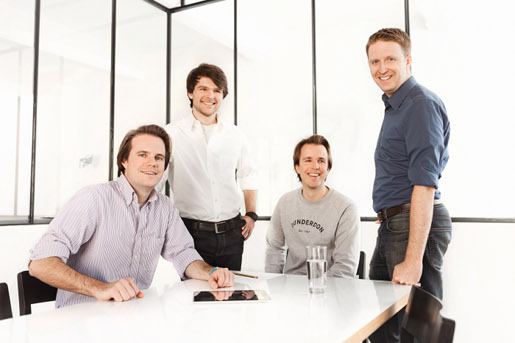 Munich-based intelligent heating control app Tado has announced a $2.6m Series A funding round from existing investors Target Partners and Shortcut Ventures to fuel its European expansion. Tado uses a GPS-enabled smartphone app to monitor when people are leaving home or coming back – it knows to turn off the heating when the house is empty and increase it when the first person starts heading home. It also takes note of the weather so it can turn down the heat when it’s sunny. The app works autonomously and, according to the company, plays a significant role in reducing heating costs – co-founder Leopold von Bismarck told us it saves customers an average of 27 per cent on their heating bills. Tado will use the funding to expand to other countries in Europe. At the moment, it is available in Austria, Germany and Switzerland. The startup is already in private beta in the UK, its next target market. Tado faces competition from US-based Nest, which is also working on a UK launch. In contrast to Tado, Nest uses smart learning to determine a household’s schedule and optimise heating patterns. It can also be controlled via smartphone. Nest is priced at $249 and costs between $99 and $300 to install. Tado’s kit costs €299, or €8.25 per month to hire it without committing to a contract. Tado revealed a new feature today that shows approximate heating costs, allowing households to estimate their monthly heating bill. The app has also been redesigned to help users better understand the automatic “Home” and “Away” function.